Rural Revolution: They're here, THEY'RE HERE!!!!!! Oh my goodness, the most wonderful surprise happened on Friday! 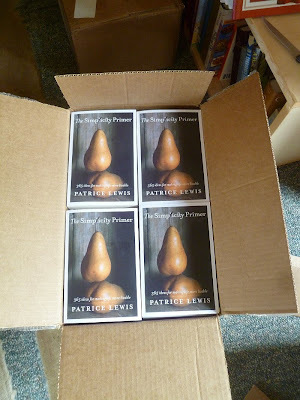 The UPS driver drove up and delivered 100 copies of my book! It was so totally unexpected that it was beyond thrilling. Even the label on the side was exciting. 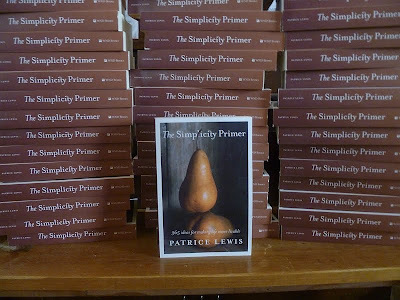 Because I did not receive an advance for The Simplicity Primer, the publisher is more generous with other benefits, including a hundred complimentary copies. I'm not allowed to sell these but I can give them away to friends and family, and use them as promotional items. I was so tickled that I stacked them up in piles just for a photo opportunity (I'm a little short of 100 because I've given a couple away). 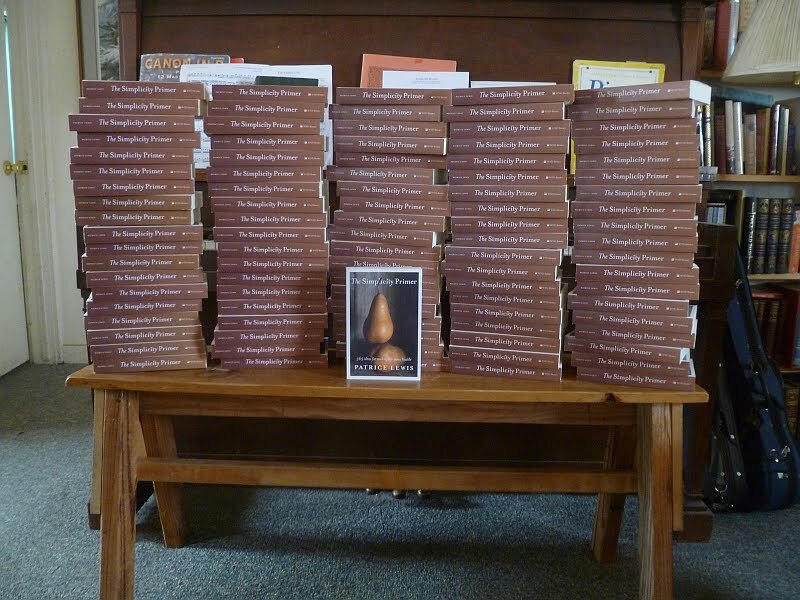 I tell ya, I've seen my name in print a lot -- I have dozens of magazine articles out there as well as three years' worth of columns with WND -- but nothing, and I mean nothing, can equal the thrill of holding my very own book in my hands. My husband was laughing at me because I kept doing little bounces and dances of excitement. The official release date is ticking closer (June 7), and now we're looking at doing a booksigning (gasp!) at one of the Costco stores in Spokane, WA. (I'll keep you posted.) Can you picture it? ME, doing a booksigning? Staggers the imagination. How thrilling!! Congratulations on your book...can't wait to see it in the stores. :) Wish you'd do a book signing on our side of the state. :) What a wonderful book to add to my bookshelf. Can't wait!!! Oh, Patrice, I can't even imagine how excited you are. It's like the joy after childbirth (before the epidural wears off, of course!). What a thrill. CONGRATULATIONS ! ! ! ! That is really exciting news! Whoohoo! Congrats to you! Oh, and don't forget to post when/if you are coming to the CDA Costco, I will be there with bells on! We are looking forward to reading your book and have already pre-ordered it. My wife and I really enjoy your blog and your articles. Oh, What Joy Patrice and such a thrilling surprise to open that box and see your hard work as fruition! 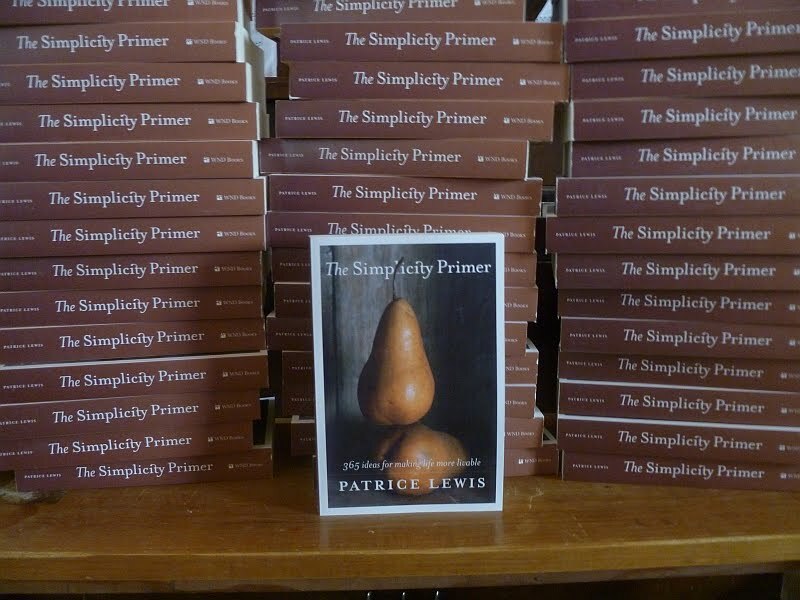 Patrice, I don't blame you for doing a little dance and taking photos of the books! You have much to be excited about. Congratulations! Seriously, congratulations and enjoy the celebrity. Congratulations! I'm doing a happy dance with you since you're the only person I "know" who is published. How exciting! I'm so happy for you! I know this birth will let you sleep through the night with a smile on your face!! Oh how wonderful ! Congrats ! They are beautiful ! And I can't wait to buy one. Awesome! Now howz about a giveaway here on your blog? Have a contest of some sort and give away a few copies to your loyal readers, especially those of us without a bookstore or a Costco! Outstanding!! Way to go Patrice! You have earned it, so enjoy the ride for as long as it lasts! What a wonderful surprise! Congratulations!! Let us know when we can actually BUY one!! WONDERFUL!!! I am so happy for you, Patrice! Now, take ten copies, carefully wrap them in plastic wrap or vacuum seal them and stash them away in a hope chest or somewhere for future grandkids. Also, it will help when you are having a simply awful day to unwrap one and enjoy that "new book smell"! Just put in my order! Congratulations! However, seeing all of those books toghether somehow reminds me of those times when I buy two of the same book by accident. I could feel your excitement right through your post. :) Congratulations! I can't wait to order my copy! Exciting times! You deserve this. Got my pre-order in! Yea! Let me know if they send you to Germany - lol - I'll definitely come to a book-signing! Just out of curiousity, do these books have your signed book plates in them? That would be funny! They look great! Congratulations on bringing all your effort (on the book, at any rate) to a successful conclusion. You have certainly earned a bounce or two. Does Amazon have your name backwards? It seems to be in there as "Lewis Patrice". I love it! Keep on going Patrice. I always knew this could happen. Placed my order and hope my daughter in Oregon can make it to your book signing! I put my copy in the Amazon cart yesterday along with my seed saving book and a few others. I think I need to get one for my sis as she got me my subscription of "Backwoods Home" for Christmas and we often talk about your articles and blog posts. 1/2 of me is buying it because the cover is so beautiful but I know the inside will be just as good. Congratulations! I'm very glad for you. I've been reading your columns in WND for a couple of years and also visited and enjoyed your website on several occasions. I live in the "Land of the Skunks" (aka: Washington, DC.) Your writings and images have provided mini vacations away from Skunkville. They have also helped strengthened my desire to escape to a rural area. I will be buying a copy of your book. Thank you for writing it. Thank you, Dave! I hope you're able to escape Skunkville soon. Lots of room in Idaho!